The Rocky Mountain Institute (RMI) has just released a thoughtful report that discusses the need for increasing rate sophistication for residential and industrial customers. I applaud RMI’s courage for taking on the topic of electricity rate design. Rate design is a sort of cheerless subject that is highly politicized. The topic is important and controversial. Current rate designs do not give consumers and producers the information they need to make good decisions. Smart homes and businesses are stuck with dumb cost information. The poor quality of information is stifling innovation. Homes and businesses are going to continue to get smarter. We can not afford to let rate design lag behind technology. RMI has successfully clarified many of the issues. Their report is titled, “Rate Design for the Distribution Edge: Electricity Pricing for a Distributed Resource Future,” It is available free from RMI. 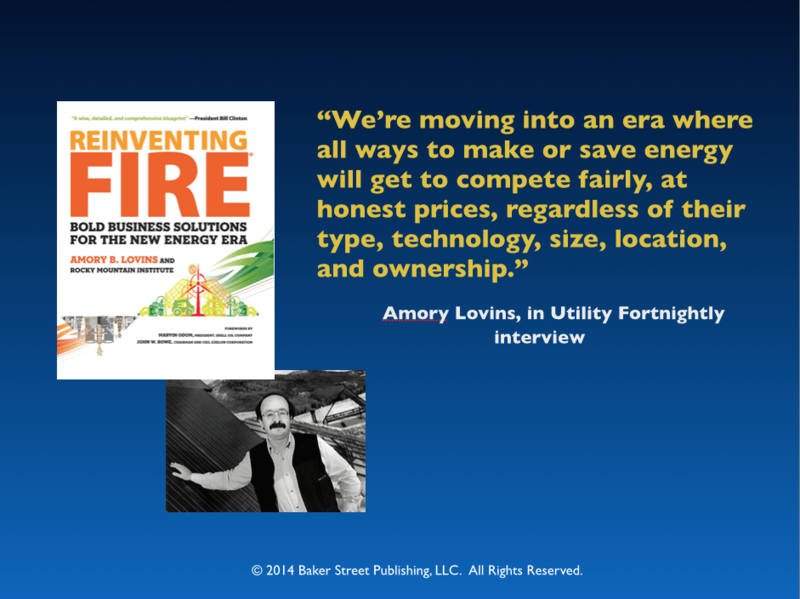 1) Attribute unbundling – shifting from fully bundled pricing to rate structures that break apart energy, capacity, ancillary services, and other components. 3) Locational granularity – shifting from pricing that treats all customers equally regardless of their location on the distribution system to pricing that provides geographically differentiated incentives. 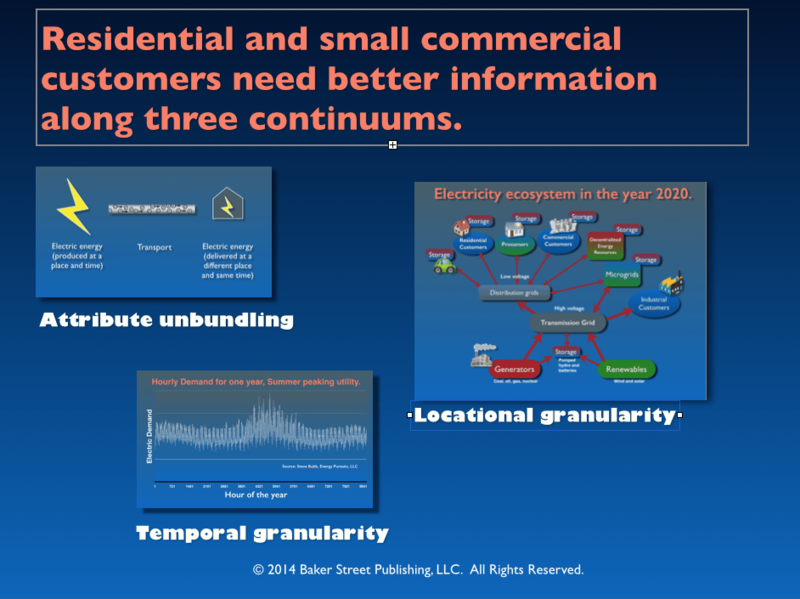 Designing rates in today’s electric energy ecosystem is like rearranging the deck furniture on the Titanic. The current command-and-control business model is sinking. Tweaking rates is not a sustainable way to accommodate new technologies like rooftop solar, battery storage, and distributed generation. It just is not possible. Central planners do not know how technology is going to evolve. They do not know what customers want. They do not know what producers are capable of producing. Fifteen minutes after planners get the “right” rates the conditions will change and the “right” rates will be in need of tweeking again. Planners in centrally planned economies have tried to outguess markets many times. They always fail. The real challenge is not how to get the right pricing structure. The real challenge is how to design the right business model. The right business model will give customers and producers the information they need to make smart investment and operating decisions. When all the parties have access to the right information then they will be able to transact intelligently with each other. With the right model our electric energy system will become much more efficient, more fair, and more transparent. Innovation will flourish as technology races ahead. This business and regulatory model is efficient, fair, and transparent. The technology is available to implement it today. 1) Attributes are unbundled. Energy and transport are broken apart. Carbon emissions can be transacted separately. 2) Temporal granularity is virtually unlimited. Distributed energy technologies and storage devices will have access to wholesale energy and transportation prices hour by hour, or minute by minute. The granularity is a choice. 3) Locational granularity is high. 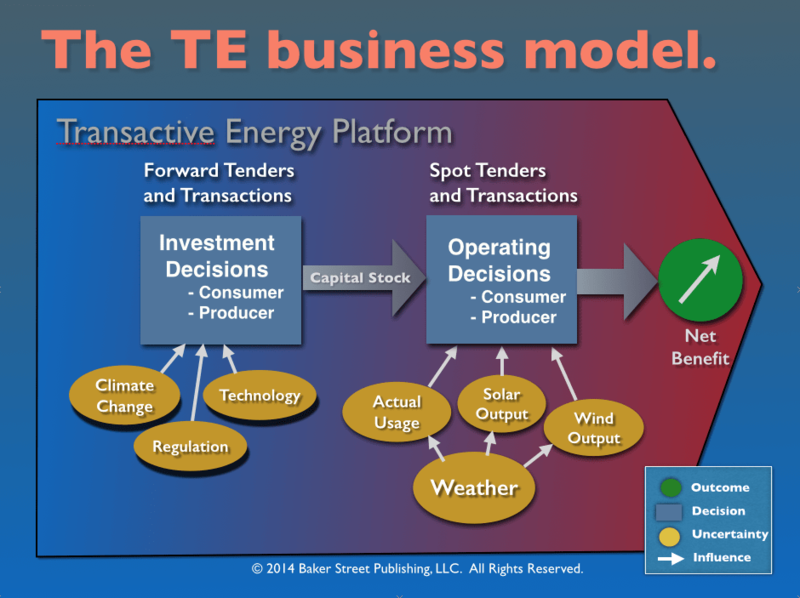 Energy and transportation are transacted separately in the TE model. This enables distributed resources to profit from the benefits they deliver to the ecosystem because of their locations near customers or producers. Customers can transact with the utility or with their neighbor, whichever provides them the most benefit. By all the RMI measures, the TE model is “sophisticated.” It would be exciting if RMI and the eLab could organize some pilot projects to demonstrate its benefits.